Wrong Island – Vrångö – is an island in the Gothenburg southern archipelago. It’s as far south as you can get by public transport. On a clear, cold morning towards the end of November 2013 I took my camera on the ferry. That expedition resulted in several daily photos, a couple more of which I share below. 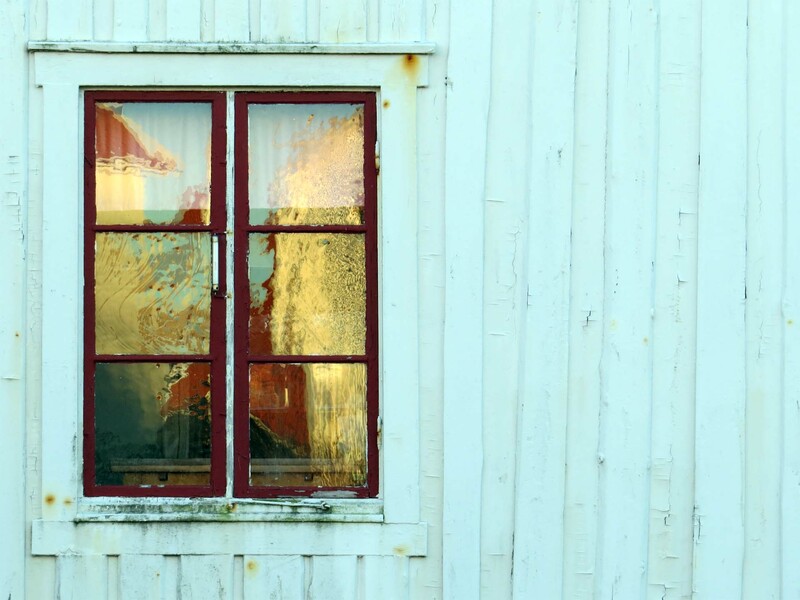 In the photo of the week above, the sun is lighting the facades of two Vrångö houses reflected in the old windowpanes of a third. It’s the second to last that I published – on 28th November 2013. 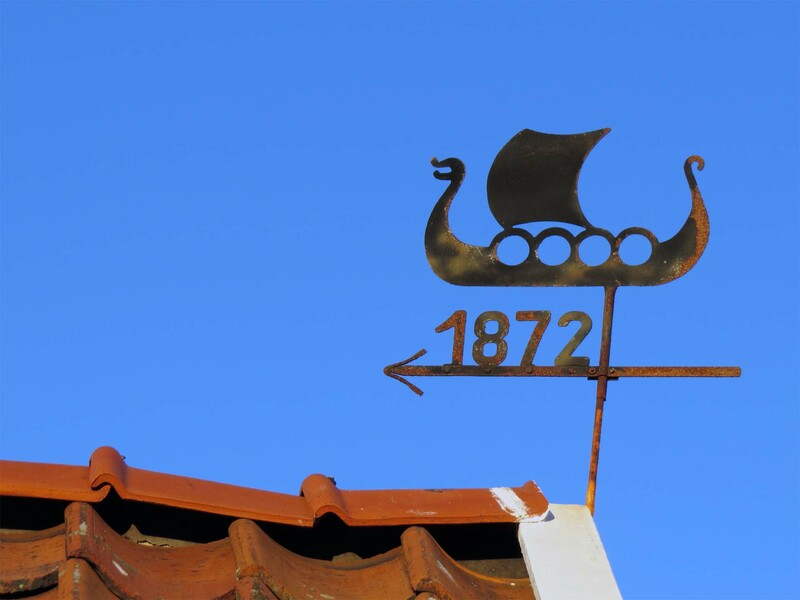 Here below is a Wrong Island weather vane. It’s a cheat since I’ve flipped original photo so you can read the date . Presumably the vane itself is telling the truth of when it was manufactured. So you see the lively interest in seamanship and belief in the island’s Viking heritage was alive and kicking in 1872, much as it is today. Saying “belief” is a little bit of a put down. It’s very likely there is a Viking heritage here, though the evidence is stronger and more visible elsewhere than on little Vrångö. Incidentally, no one can be really sure where the term “Viking” comes from. The people we call “Vikings” didn’t call themselves that as far as anyone knows. The term first shows up in the 12th or 13th century Icelandic sagas about 200 years after the end of the Viking period. The subjects of their attentions abroad had a number of names for them (Danes and Northmen in England), but not Viking. One theory, popular hereabouts, is that the name means “men from Viken”. This west coast area of modern Sweden, reaching up to Norway, was once Vikens rike. Literally that means “the land of the narrow bays” or, perhaps better “the land of creeks”. So, in local belief, this is where the Vikings came from. Below is my last Wrong Island photo from the expedition. Published on 29th November 2013. A late-blooming strand flower. I don’t know what sort it is, maybe a sort of poppy or mallow. 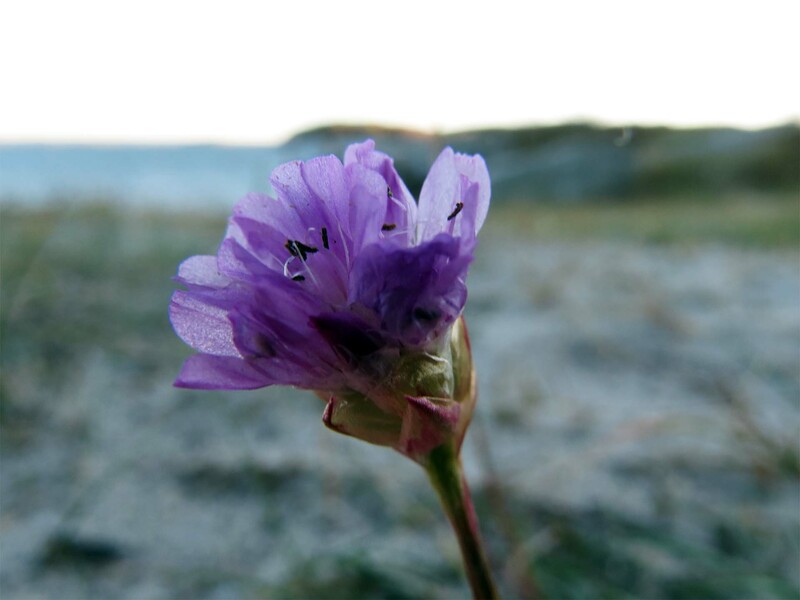 It was the only wild flower I saw during my walk around Vrångö. And this was the only focused photo I managed to take because although it was low on the ground the wind was whipping it about. There was one stalk with this flower and one stalk with a seedcase that looked very like the top of a pepper-shaker. I’ve taken the camera and the blog to Wrong Island before. On my 53rd birthday!